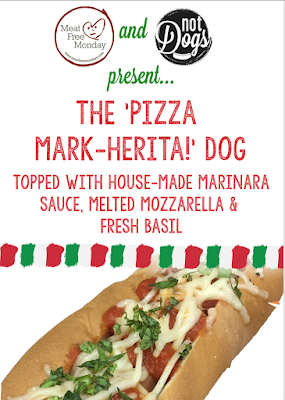 Not Dogs: Meat Free Monday & Not Dogs Introduce… The Pizza Mark-herita Dog! Meat Free Monday & Not Dogs Introduce… The Pizza Mark-herita Dog! 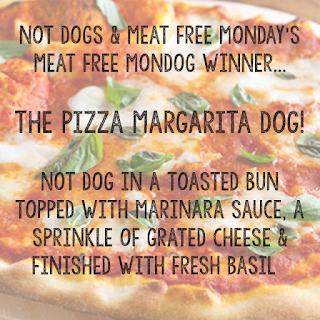 Last summer, we joined forces with Meat Free Monday the campaign created by Paul, Stella and Mary McCartney to introduce a brand new hotdog to the Not Dogs menu… ‘The Meat Free Mondog’ and it’s finally nearly here! 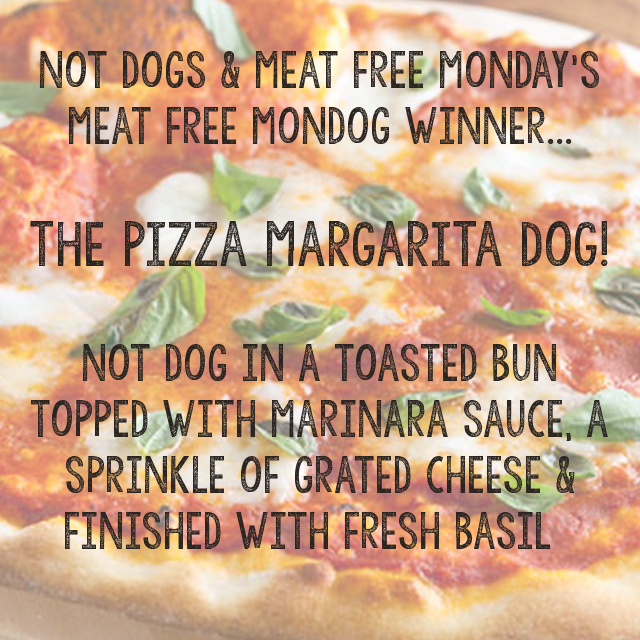 Invented by Not Dogs fan Iona Hodson, picked by the Meat Free Monday team and lovingly named by us after Mark - the husband of Not Dogs co-founder Jane, we know this new Not Dog will go down a treat and we cannot wait for it to launch on Monday 12th February - just in time for Valentine’s Day! It is available vegetarian and vegan, as with all our menu items, aside from the Cha-Cha Chilli.